When our babies begin exploring they tend to use both hands, or randomly use either the left or right hand. Hand preference may begin to emerge as early as 2 or 3 years of age, while for others, this may only happen around the age of 5 or 6. 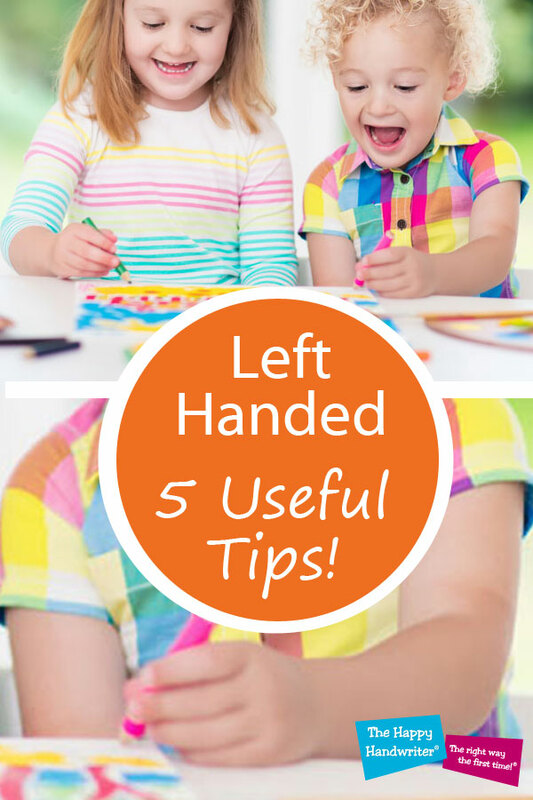 So, you may notice early on that your child is showing a left-hand preference, or it may only emerge later. I always like hand preference to be in place by the time our children are in Grade R, as it is the year of fine motor refinement in preparation for teaching left handers to write in Grade 1. Is it Genetic to be Left-Handed? There is a familial element to hand preference. 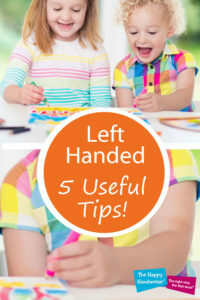 There is a greater chance of your child being left-handed if there is left-handedness in the family. However, two right-handed parents can have a left-handed child, so you don’t need to go back searching through the family archives to find your left-handed relative! Approximately 10% of the world’s population is left handed. That is more than a staggering 744 million people! So, if you were a lefty feeling in the minority – don’t! Research has found that left-handedness is not associated with either illegibility, or slower speed of handwriting. Lefties are just as able as their right-handed peers. 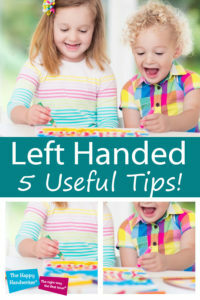 However, the challenge that is sometimes presented to parents or teachers, is that they themselves are right-handed, and are not sure how to help their lefties. 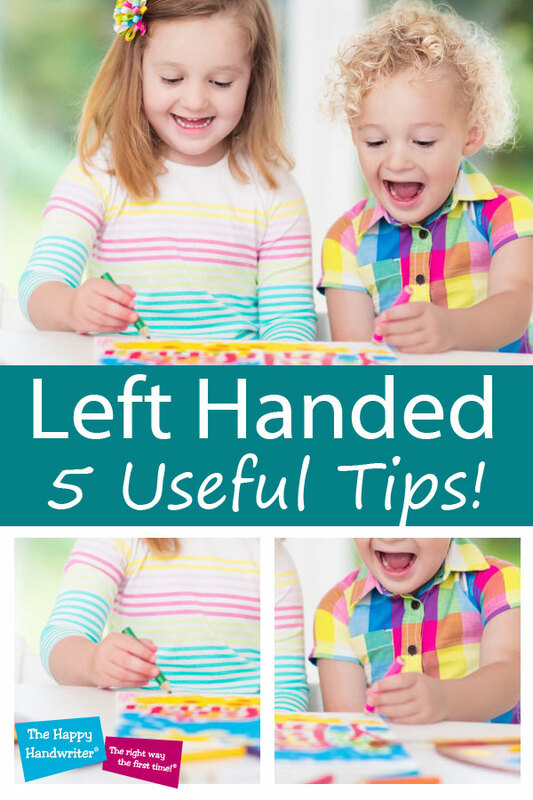 This is not because their lefties are in any way lessor, or have problems, it is just different to their own point of reference so a little guidance and tips for left-handers can be helpful. Lefties need their own left-handed scissors. The blades face a different way on left and right-handed scissors. Lefties who cut with right-handed scissors are going to battle more because the positioning of the blade is going to block their ability to see the cutting line, so it will be more difficult for them to master cutting and scissor skills. 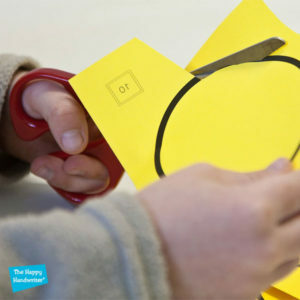 Lefties must also always cut to the left-hand-side when cutting out an object – this will stop them from getting tied in knots! 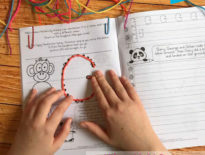 Sit opposite your lefty when teaching motor tasks from shoelaces, to threading, to construction, to activities such as knitting. This way you won’t need to try and work out which way they should do it – they can just mirror you. I did, however, recently learn from one of our readers that if you knit left handed and follow a pattern, it will come out backwards! That was news to me! This principle of sitting opposite your lefty when teaching motor tasks holds true, with the exception of when it comes to teaching left handers to write. 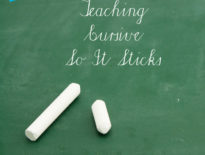 For handwriting you are going to sit next to your lefty, or be writing on the board. When your lefty goes to school let them sit on the left side of the desk so their elbow doesn’t bump against a right-handed desk mate’s elbow. It is just a matter of convenience. Know that just because your lefty writes with their left-hand, it doesn’t mean it is a problem if they do other tasks, for example playing tennis, with their right-hand. So long as your child is consistent in their hand usage for each specific task , it is fine. So, for example, they may write with their left-hand, play cricket right-handed and eat left-handed. This is an acceptable pattern of hand usage so long as they do each task consistently with the same hand. Many lefties have the tendency to “hook” their wrists. This is a compensatory position which allows them to see what they are writing. This is not the ideal position for a lefty to use as it compromises the emergence of the discrete, refined finger movements which are necessary for legibility and speed of handwriting. 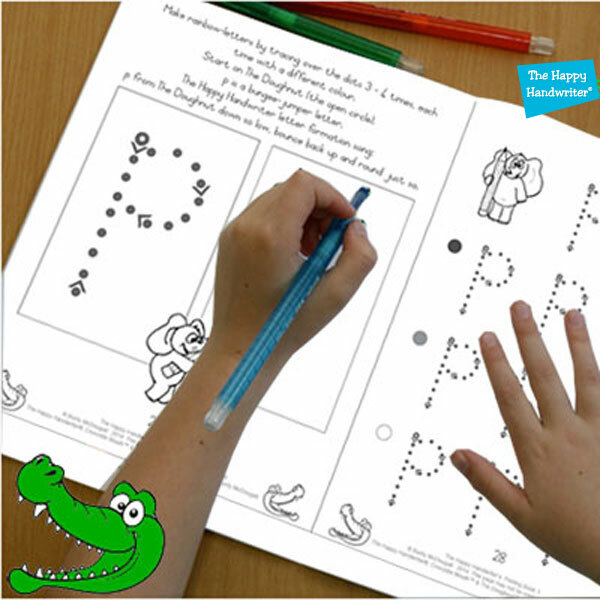 When learning to write, your lefty should tilt their book so there is a Crocodile Mouth® or triangular shape at the bottom of their page. Your lefty will write downhill and will be able to see their work, without using an awkward hand posture to do so. In addition, the smudging of work which is an issue for lefties as their hand rubs over what they have just written, is resolved by angling the page as well. The process of learning letter formation for a left-hander is largely the same as for a right-hander. However, because they are approaching handwriting from the left-hand side, they can be faced with having to create a line with a “pushing”, rather than a “pulling” action. It is always easier to produce a line that requires a “pulling” rather than a “pushing” movement of the hand. A “pushing” stoke can be bumpy as it moves over the paper. So, your lefty may prefer to do their lines for crossing the f and t traveling from right-to-left, rather than from left-to-right. The same goes for drawing a line with a ruler. A lefty will find it easier to rule their line in a right-to-left direction. Apart from this, teaching left handers to write, is pretty much the same as for right handers. However, on account of their tendency towards the hooked hand position, I do like to spend more time developing the muscles and movement patterns for pencil grip. 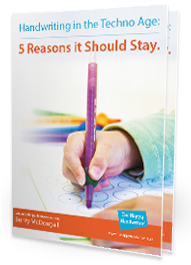 A left-handed occupational therapist weighed in on issues to consider for left handed children. Read about it here. In years gone by, lefties were often made to write with their right-hands. This isn’t ideal as it confuses their wiring, and can cause learning difficulties and even stuttering. So, for the most part, we want our lefties to write left. Lefties do just as well as their right-handed classmates – I think it is kind of special to be left handed – I have a lefty myself!